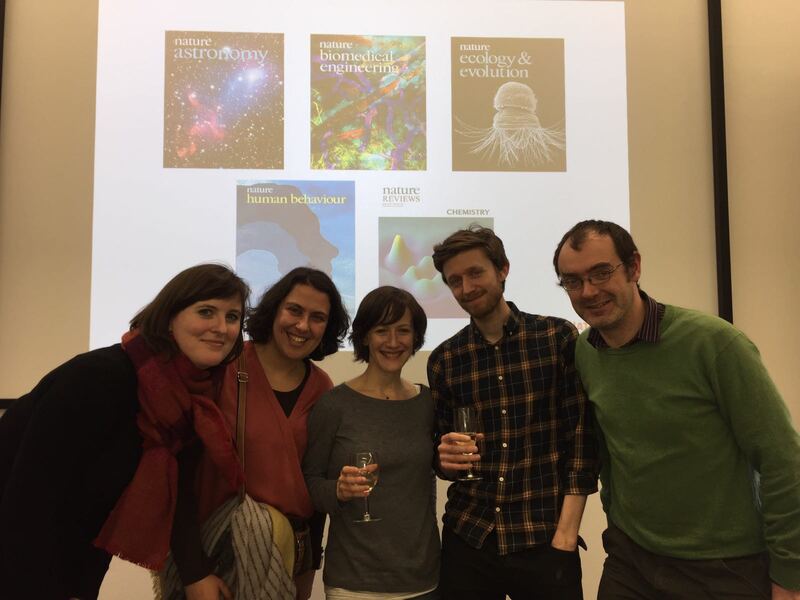 The Nature Ecology & Evolution editorial team celebrate our launch. 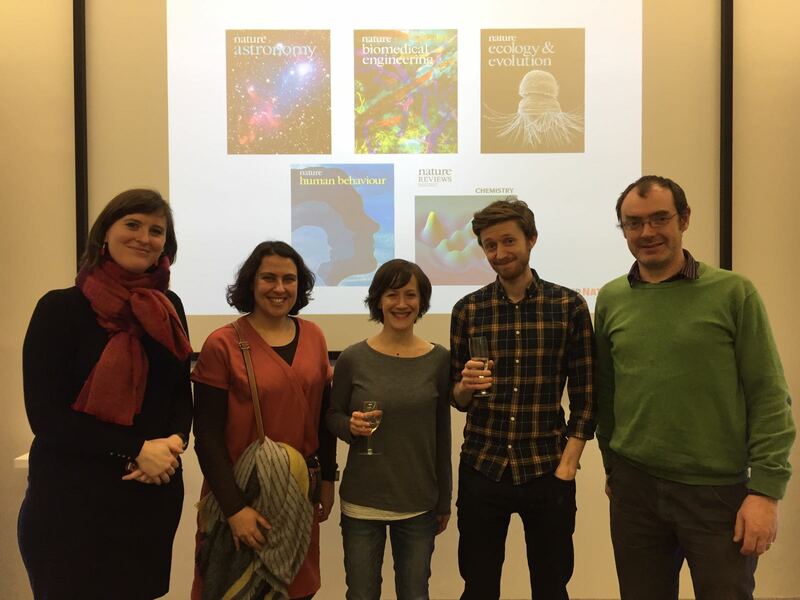 The Nature Ecology & Evolution editorial team celebrate the launch of five new Nature titles. Left to right, Luiseach Nic Eoin, Vera Domingues, Marian Turner, Simon Harold and Patrick Goymer.